Finding Indian or Malay food at hawker centres can hardly be considered unique. 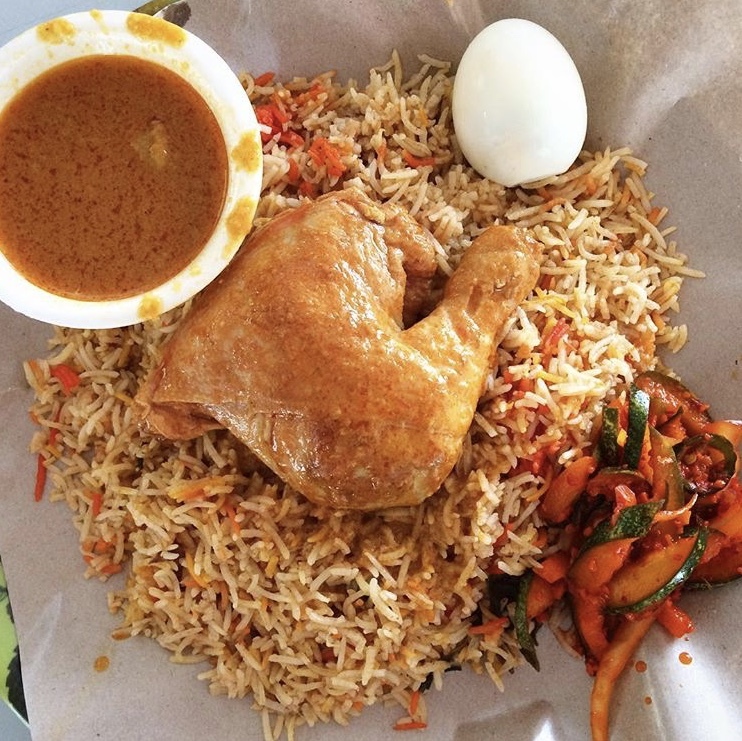 However, before you marvel at the presence of the few token prata or briyani stalls at your favourite joints, you might want to check out Ayer Rajah Food Centre. 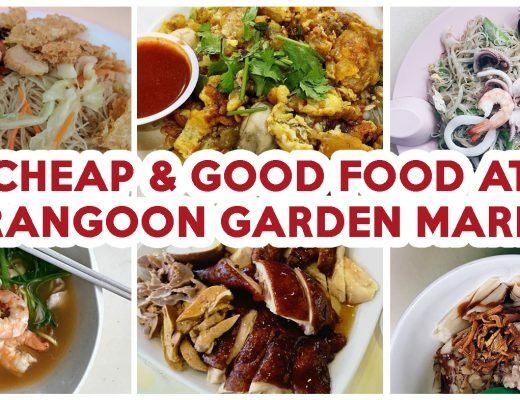 This hawker centre has some of Singapore’s best Indian-Muslim food, including Indian rojak and mee goreng. 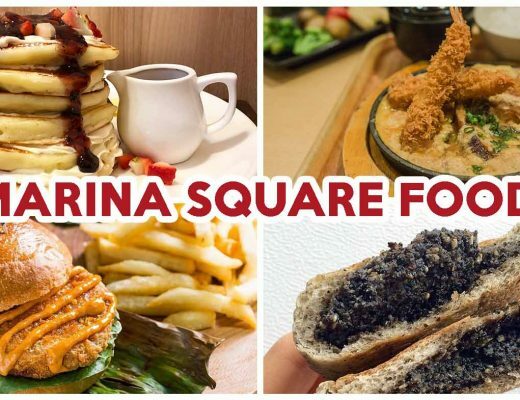 Here are 8 stalls to check out for every kind of craving! 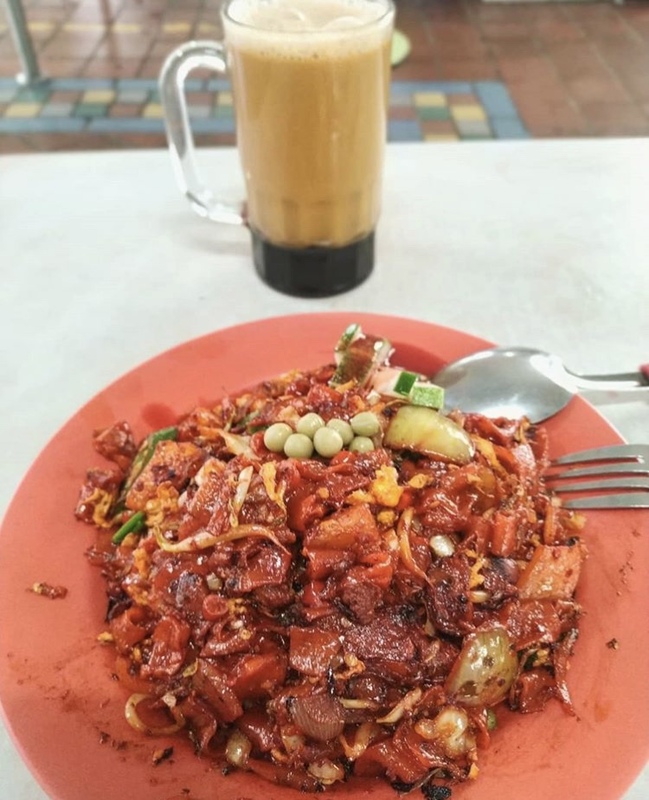 If you see plates of bright red noodles on the tables at Ayer Rajah Food Centre, it’s most definitely the Mee Goreng ($4) from N M Abdhul Rahim. Having been around for more than 35 years, this stall seems to have worked its way to the local palates. Though cooked only with simple ingredients such as peas, eggs, and cucumbers, it’s packed with flavour. Their secret sambal recipe adds a depth of spicy savouriness, while the use of a cast iron wok gives a smoky undertone that nicely wraps up the dish! 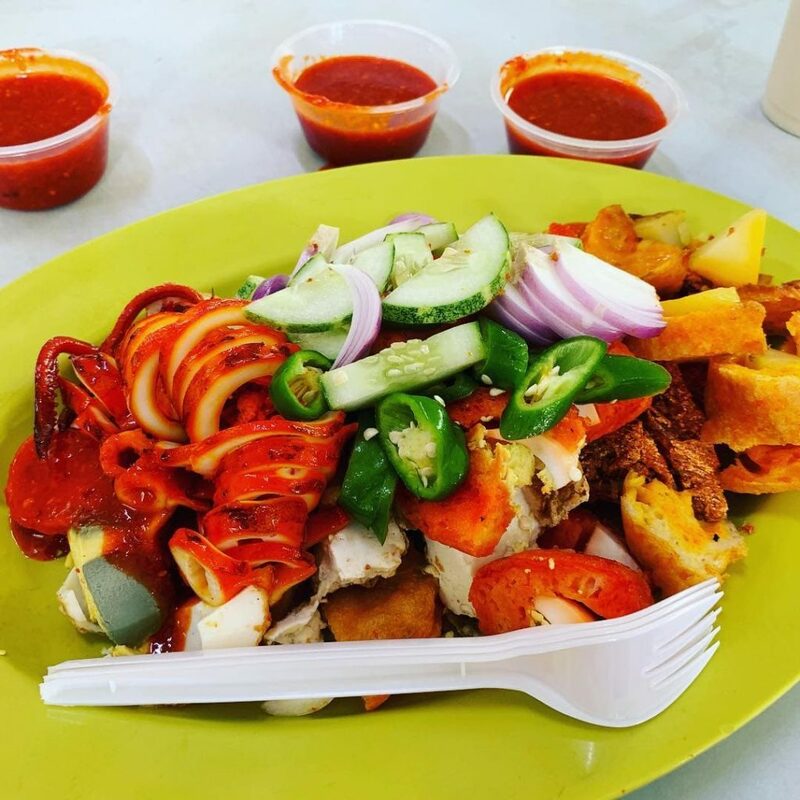 Adhus Salam Rojak has been consistently coined as one of Singapore’s best Indian Rojak. A must-try is their fresh and crisp coconut fritters which are made of freshly grated coconut. Other ingredients in the rojak include vadai (crispy prawn fritters), fried eggs, and tofu, all of which go well with the sauce. The sauce is a little spicier than the usual which makes it a plus for those who appreciate a little kick. The price depends on the amount of items you pick, but $10 would be a reasonable budget for two people looking for a good supper snack! Kambing Soup is best eaten on a rainy day and no stall does it better than A Rashid Khan ($3). Inside this spicy broth of mutton soup are chunks of mutton, garnished with coriander and leek. The soup also comes with a plate of sliced french loaf so you’ll surely go home full and satisfied. 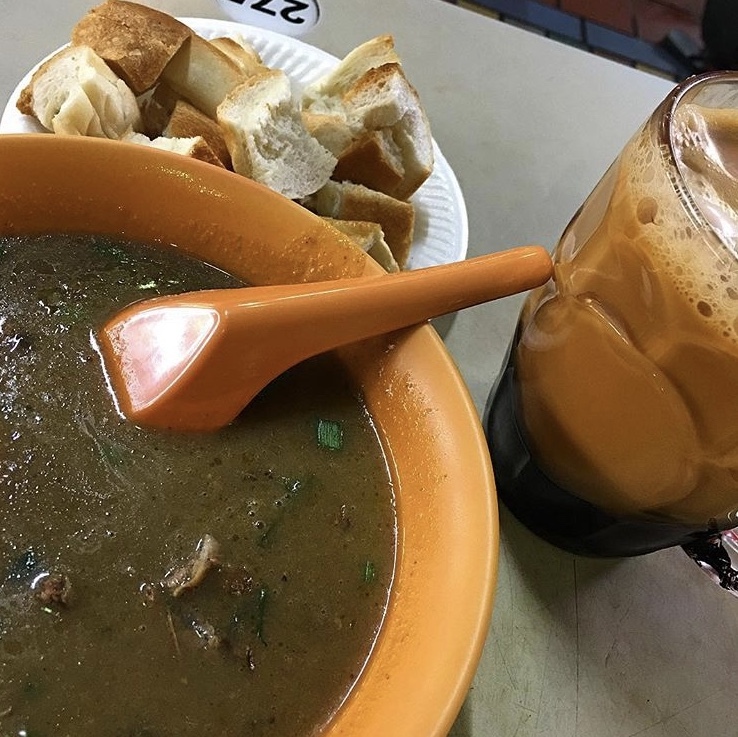 If you are gutsy enough, do try the mutton soup with the brains; Singapore’s Michelin Guide 2017 has identified it as one of their specialities! 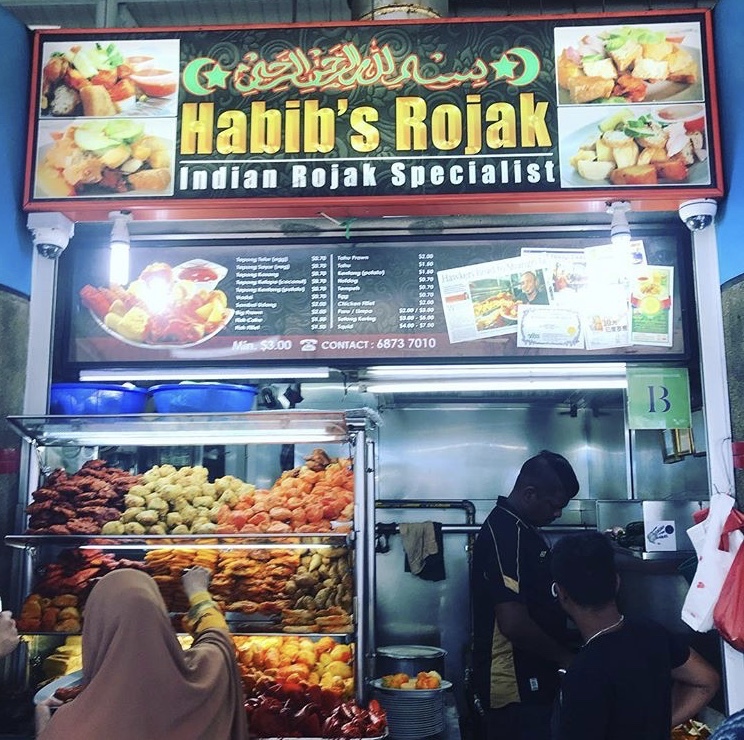 A strong competitor of Adhus Salam Rojak is Habib’s Rojak. Like the former, you can expect to find ingredients such as fried prawn fritters, coconut fritters, fish fillet, and fried potatoes – all fried upon order. Their dipping sauce is less spicy than the one at Adhus Salam’s. Nonetheless, it still serves its function of elevating simplicity with its sweet and spicy richness. Don’t get too carried away though – mindless picking could land you in $25 worth of ingredients on your plate! It’s not all Indian cuisine at Ayer Rajah Food Centre. There’s also the well-known Tokyo BBQ Stingray. Completely unrelated to the Japanese capital, the BBQ Stingray ($10/$12/$14/$16) here may be thicker than usual, but it is no less juicy or flavourful. 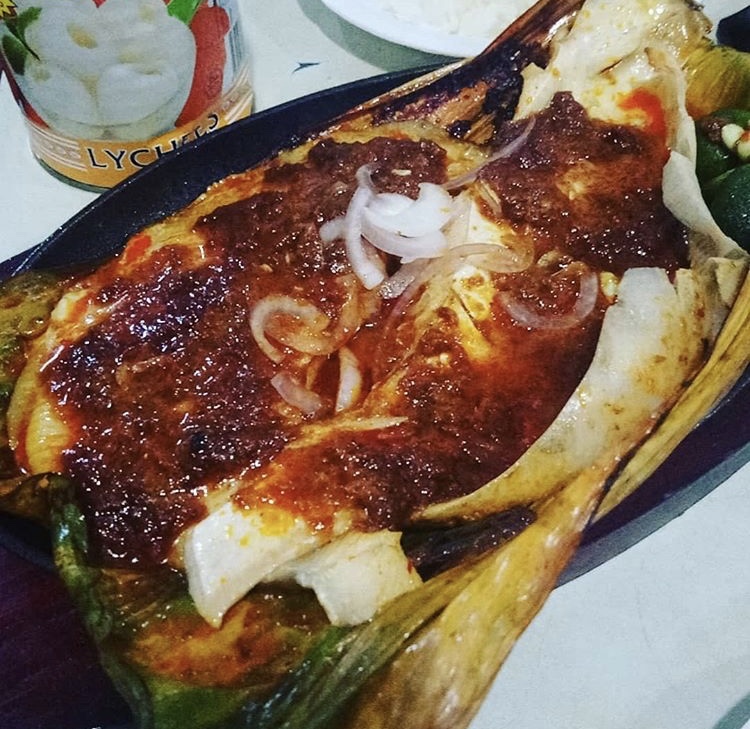 The sides are nicely charred and the flesh, which has a good coating of the sambal paste, glides off the cartilage smoothly. Together with the chinchalok and chilli achar, the stingray delivers a zesty savouriness all at once. For a more complete supper, do try the Oyster Omelette ($6) and the Grilled Squid ($8), both of which will satiate any local supper cravings. Another stall which has earned itself a loyal following is Firdaus Prata & Briyani House. Herds of office workers can be seen queueing for this stall’s Briyani ($5) during lunchtime, and the sheer size of this dish explains it all. A heaping scoop of yellow long grain rice is doused in curry gravy. The size of the chicken thigh is substantial enough to accompany you to the very last grain of rice. The dish also comes with a hard-boiled egg, achar, and a small bowl of gravy – a nutritious afternoon grub for anyone with an appetite! Previously called Jurong Wanton Noodles, nothing else has changed about the Wanton Noodles from Uncle Noodle. 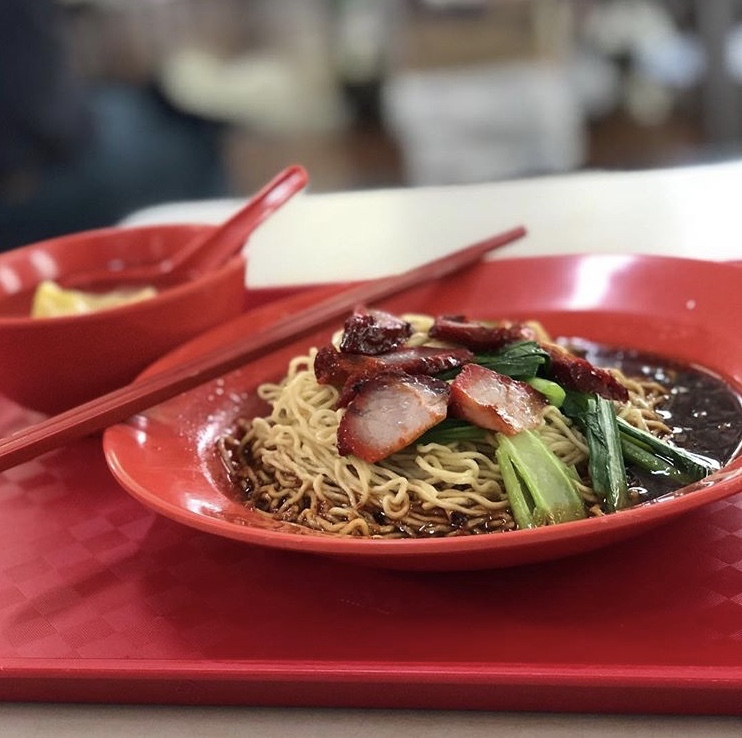 For just $3, you can get a generous portion of wanton noodles coated with black and chilli sauce, along with some char siew, vegetables, and a bowl of dumpling soup. The dumpling skin is soft and not overly doughy, allowing the flavour of the meat to come through with every bite. Take a trip down memory lane with a taste of this childhood classic! Started by an ex-Tippling Club trainee last August, Bowl Chap serves affordable Japanese donburi with a local twist. One of the dishes that impressed us when we were there was their 5 Spiced Apple Braised Pork Belly ($5.80), which comes with pork belly, onsen egg, and fried popiah skin on a bed of warm Japanese rice. Other options that we also took a liking to were the Chicken Karaage with Tonkatsu Mayo ($4.90) and Smoked Paprika Chicken Katsu ($5.50)! Check out our full review of Bowl Chap! 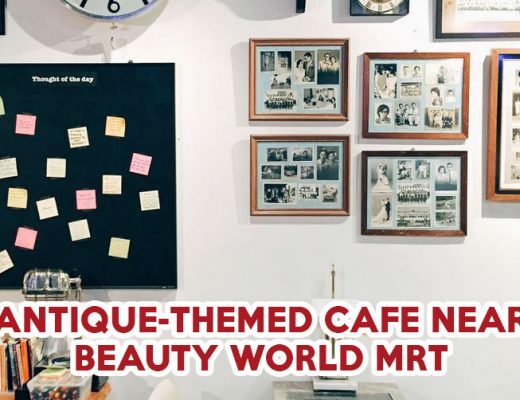 While Ayer Rajah Food Centre is one of the many places Westies would bring up in the East versus West argument, there are tons of other reasons worth exploring this side of Singapore! For those unconvinced, check out this list of West Coast food gems that’ll even make an Easties travel to the other end. 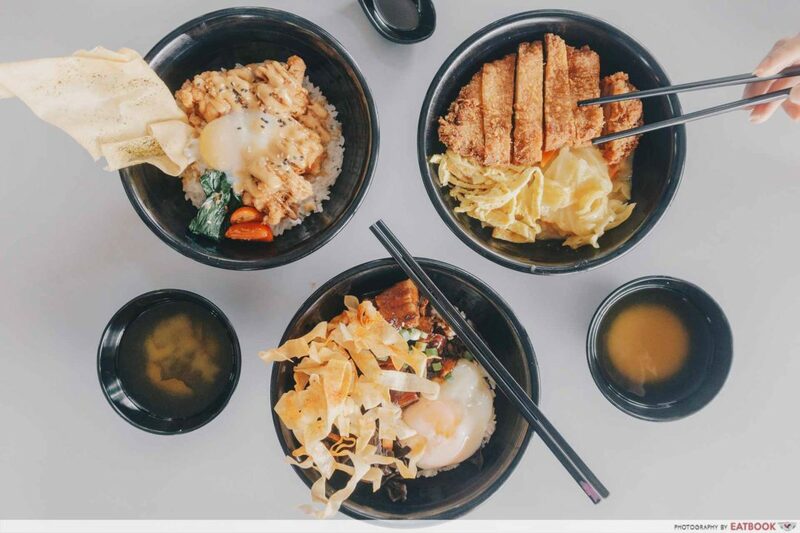 From good ol’ hawker food to atas cafe delicacies such as steak fries and truffle scrambled eggs, a trip to the far end of the island will not disappoint.